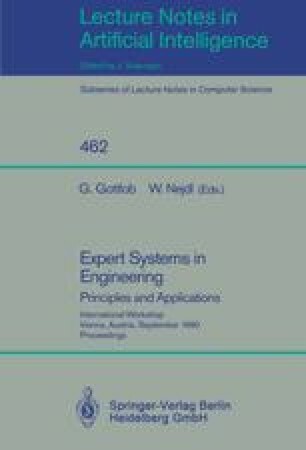 A commonplace in the expert system literature has been that the resolution principle is inapplicable as an inference rule for expert systems. This claim has been due to the fact that many expert system applications inevitably have to reason about uncertain knowledge, and that the resolution principle cannot handle that kind of information. Indeed, there have been only few attempts to extend the application of theorem proving techniques and full clausal logic to reasoning under uncertainty. These approaches have made semantic assumptions which resulted in limitations and inflexibilities of the proposed inference mechanisms. However, starting with Zadeh's “fuzzy logic” an impressive logical machinery has been developed for reasoning revolving around the uncertainty phenomenon of vagueness. Fuzzy logic allows for statements to have truth-values falling within a range between true and false. In this essay we shall discuss a similar uncertainty phenmenon, namely the endorsement of a statement. We present a new approach to fuzzy logic and reasoning under uncertainty using the resolution principle based on a new operator, the fuzzy operator. We present the fuzzy resolution principle for this logic and show its completeness as an inference rule. Since the uncertainty phenomenon of endorsements is quite central to expert system development, we will claim that the logic presented here provides an elegant inference mechanism for those occasions, where a well understood semantics of one's reasoning mechanism is required.